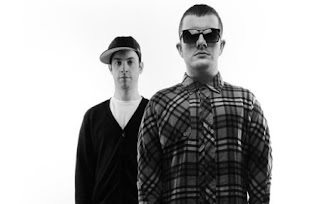 The UK production duo Jack Beats released a song called "About to Get Fresh," which I couldn't resist posting because we at this blog love the word and anything fresh. The duo linked up with indie/hip hop duo Chiddy Bang and Foreign Beggars’ OV for some nice energetic verses. Yet the electronic beat is a heavy weight champ of production and is a big part of the appeal of this song. Turn the volume up on this one.